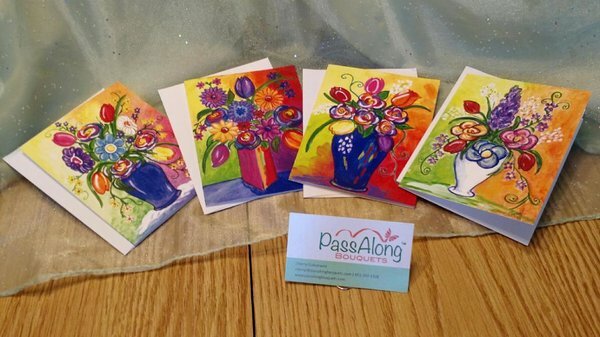 This 4 pack of 4” x 5 ½“ cards with envelopes include one of each bouquet design. The inside is blank for your personal message. Orders over $60 receive 10% OFF with coupon code MULTIPLE *Excludes other offers.